Disassembles into three pieces for trunk use. Works with most scooters and some lightweight power chairs. Works for most scooters and some lightweight power chairs! 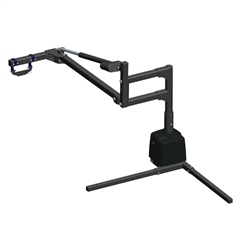 Adjustable post height and boom arm. 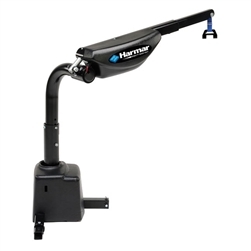 Weather resistant hand control - Can be installed on either side of the vehicle. 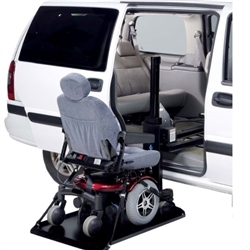 The quality construction and design you expect from Pride® Mobility Products. 350 lbs. 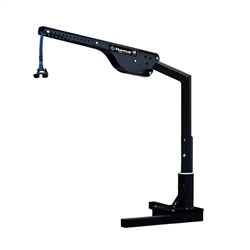 lifting capacity - Easy-to-use 2-button hand control. 37” Drop versus 30”-36” with competitors lifts - Do not lose the second row of seats. Less than 1 hour installation with little or no vehicle modification. 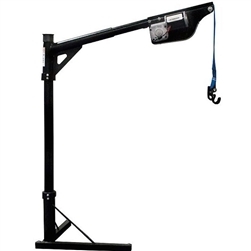 Newly designed anti-rotate strap system and compact base for a better fit in the truck bed. 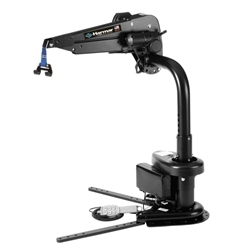 An optional wireless remote control makes the AL825 fully functional from within the cab!e. Weatherproof, remote hand control (wireless option available). No drilling required in most vehicles; connects to existing 2nd row seat hardware. New, adjustable wheel chocks on the platform surface. Single piece horizontal drive rail: minimum welding points for noise reduction. 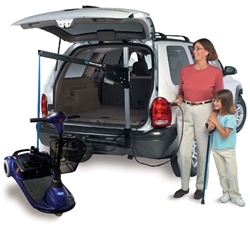 Includes Interlock Protection to cease operation while vehicle rear door is closed. Coastal Community Finish Provides 1,000 Hours of corrosion resistance. Inside Electric Lifts are for use inside to lift scooters, power wheelchairs, and more.